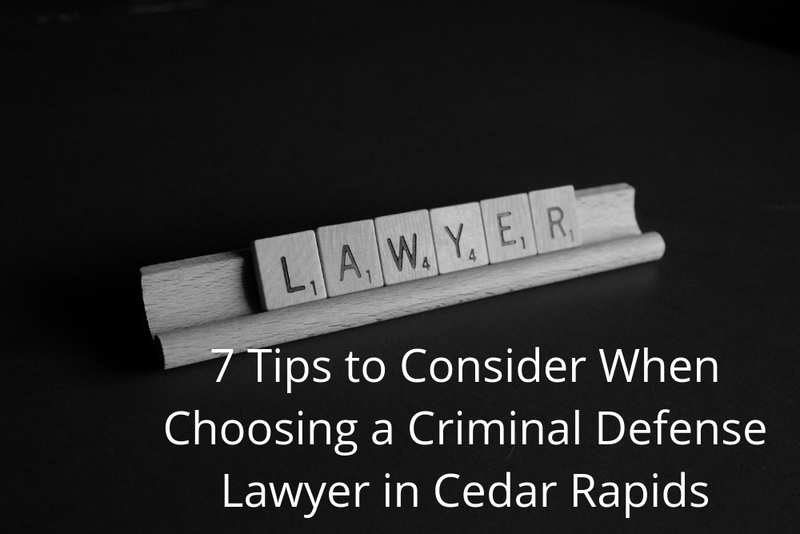 If you’re facing criminal charges in Cedar Rapids, you shouldn’t choose just any criminal lawyer to defend you. It’s tempting to wait until the last minute to pick someone before you have to appear in court, but choosing the first attorney you find can be a big mistake. The average criminal defense client has a lot of questions to ask their potential lawyer, which means you should look for someone with experience and a substantial case history. As someone who may be facing criminal charges in the area, ook for an attorney that is listed as a criminal defense lawyer in Cedar Rapids. Though the law is the same throughout the entire state, you’re better off choosing an attorney who’s had experience in the county court that’s overseeing your case. A criminal defense attorney in Cedar Rapids must be ready to handle all types of situations, challenges, and curveballs. When you start speaking to potential attorneys, ask them how they handle such situations. If you dislike the answer, move on to the next. It’s important to remember that there are no guarantees with law, however, you should still pay attention to what an attorney’s former clients have to say. Look for your Cedar Rapids criminal defense attorney on AVVO.com. Take a look at what their peers have to say about them as well. Think of your attorney as you would a doctor. If you speak to a doctor and they say or do something to set off a red flag, are you going to ask them to perform your surgery? Of course not. If you don’t have confidence in one of the criminal defense attorneys you speak with, don’t go with them. It’s common to come across small criminal defense teams in Cedar Rapids. A lot of attorneys in the area have one secretary or one paralegal who helps them with everything. Other attorneys practice in large law firms with multiple criminal defense lawyers and a full team of assistants. Be aware of what makes you comfortable when searching for a criminal defense attorney. If you like the idea of having a large team at your back, then choose that firm. If you prefer to work closely with one person until the very end, then choose an individual lawyer to work your case. Cory Goldensoph P.C. is a native Iowan who grew up valuing hard work and determination. He uses these values to guide him in his law practice. After graduation from law school, Cory worked briefly for another attorney before starting his own practice in 2003. Shortly thereafter, he became the defense attorney for the Linn County Drug Court. Speak with Cory today about your criminal defense case. Your case evaluation is free. Call 319-364-5525 now.